"Ya Libnan Volunteer Ramzi Al-Hussein made a mistake in propagating a false rumour on the alleged threats made by Fatah al-Islam," Ya Libnan confessed in a formal apology, "After further investigations, the threats appear to be a hoax and have no basis for inclusion in our publication. The event organizers have also reassured Ya Libnan that no such threats exist." "At Ya Libnan, we take pride in how we promote Lebanon as a premier tourist destination," the paper added, "And the last thing we want is to instigate unnecessary fear." 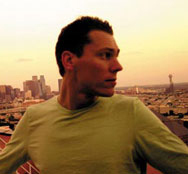 In the initial article, the paper quoted Al Qaida off shoot Fatah al-Islam as promising to 'tear out your hearts with traps and surround your places with explosive canisters', prompting Tiesto to 'put the night on hold and wait for further development', according to one (also unconfirmed) net posting. The story emerged against a backdrop of escalating conflict between Lebanese authorities and Al Qaida off shoot Fatah al-Islam which itself followed the devastating Israeli air-raids against Hezbollah, which decimated Lebanon's thriving club scene less than 12 months ago. Tiesto will be the first superstar DJ to venture to Beirut since the raids, in marked contrast to the situation just 12 months ago. Writing about the club scene just weeks before the Israeli assault, local newspaper the Daily Star declared 'rave culture finds a happy home in Beirut' in a euphoric feature about the then thriving scene. "Tiesto, Paul Van Dyk, Paul Oakenfold, Armin Van Buuren, Seb Fontaine, Anthony Pappa, Nick Warren, Tall Paul, yes, it may sound like a poll for the best DJ in the world," the newspaper added, "But no, it is in fact a list of just a few names who have hit the Lebanese nightlife scene in the past year alone." In more Tiesto news, the 'world's number one DJ' has announced he'll be making his Bahrain debut in July, playing at the Bahrain International Circuit (BIC), Sakhir, on July 4. His Beirut gig, however, remains unlisted on his Myspace page. (as of May 31).